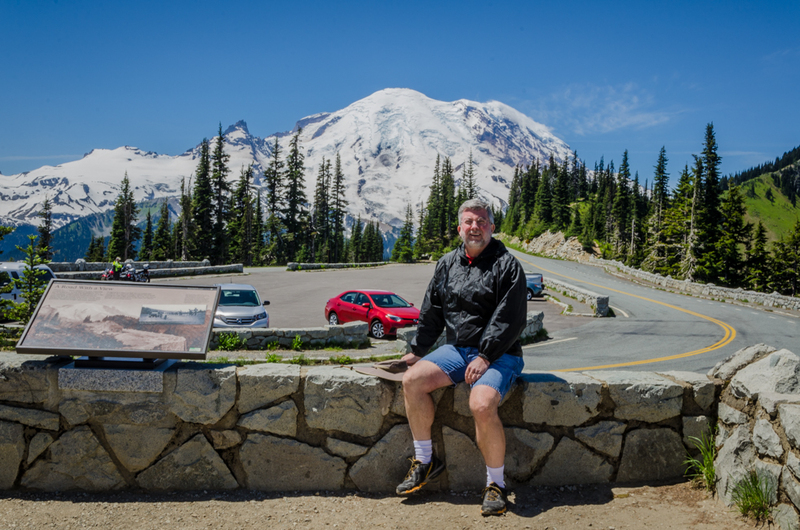 Ed enjoying the view of Mount Rainier. 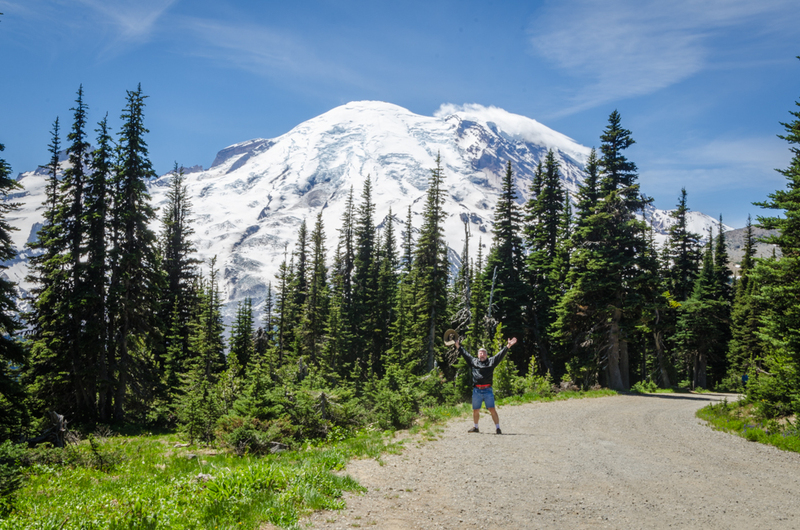 Although we have enjoyed Mount Rainier from a distance, today I went for a drive to clear my head and see some beautiful scenery. I was not disappointed. The mountain is just as beautiful up close as it is from a distance. It was interesting the watch the wind whip the clouds and snow near the top. I was surprised that there were bicyclists riding all the way up to the Sunrise Day Lodge. I was also surprised how cool it was on the mountain. Everyone needed to wear a sweat shirt or wind breaker because of the wind. It was especially nice to enjoy a sunny afternoon. It was quite cloudy in the morning, but the sun shone brightly in the afternoon. 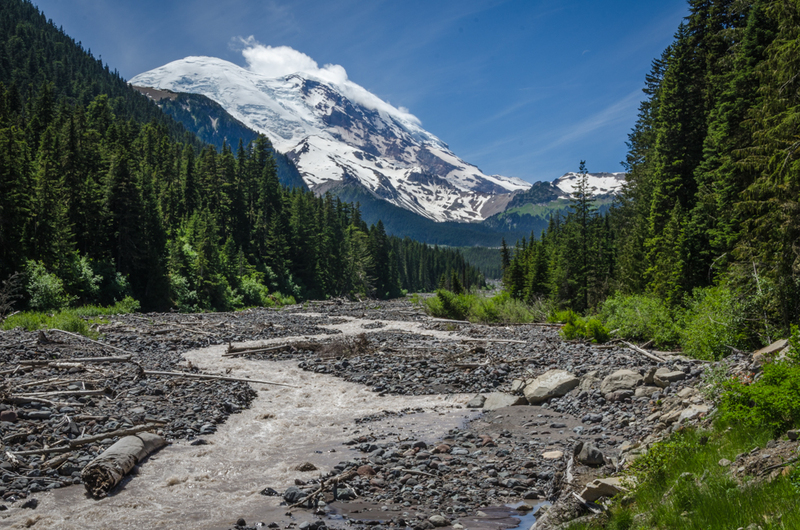 The White River flowing from Mount Rainier. 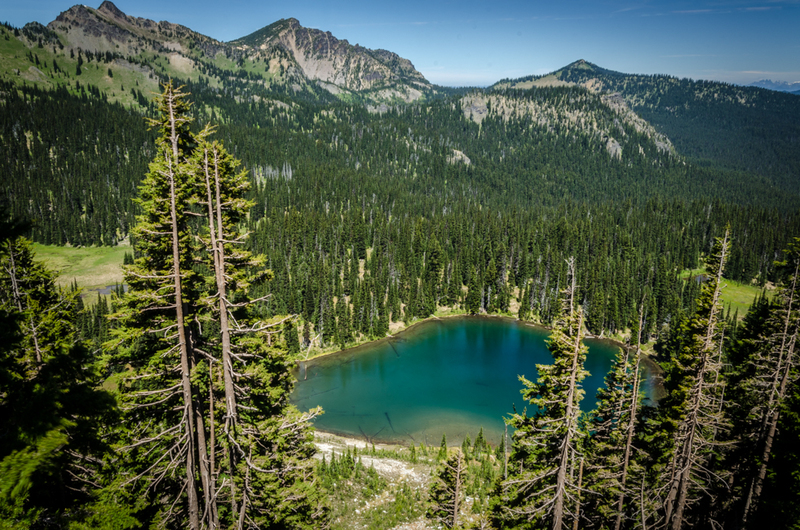 A lake can be seen near the top of the mountain. The Seattle area has been unusually warm, but I have not used the air conditioning the past two days. I have simply enjoyed the cool breezes. 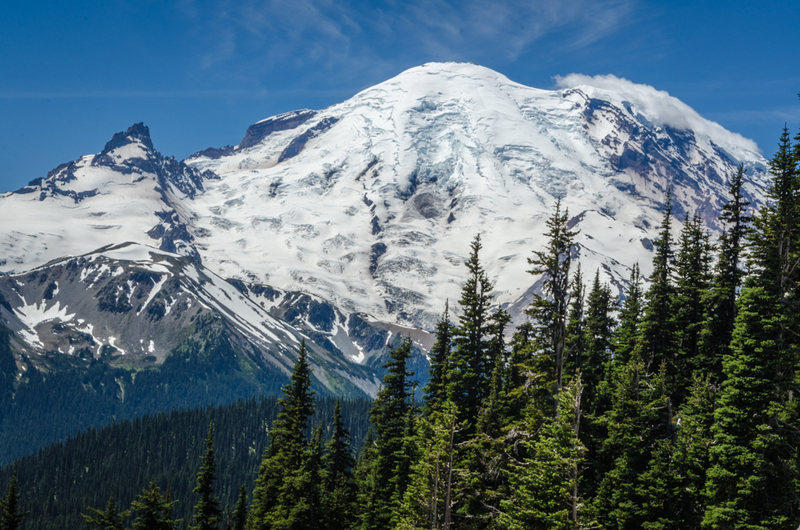 Celebrate with a beautiful view of the mountain! A panorama by merging 6 different photos to capture the view. ← Bike ride to Puyallup!